What Tuft & Needle sheets work best with a foam mattress? 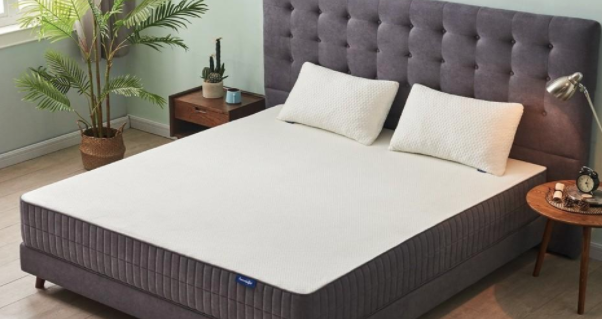 Even though a foam mattress may not be a conventional innerspring mattress it does require certain considerations while choosing the appropriate sheets, especially the Tuft & Needle sheets, to fit your foam mattress. It is recommended that you should try to avoid flannel sheets or microfiber sheets as foam mattresses tend to retain the body heat. Sheets have become the best way to add the extra comfort for your peaceful nights’ sleep and are one of the best things that people have the strongest opinions on when it is about bed accessories. You may prefer crisp linens or soft and stretchy knit when it comes to sheets with foam mattresses. But you should be aware of certain features in the sheets that can easily make or break your overall experience with foam mattresses. Before going to the various types of Tuft and Needle sheets, it is important that you know about the company. Tuft & Needle is an American manufacturing and e-commerce company founded in 2012 and based in Phoenix, Arizona. The sheets are made from Suprima cotton that is grown locally in the Southwest regions of America, including Texas, California, Arizona, New Mexico, etc. It manufactures and sells mattresses and sheets from the in-house foam. The fabrics come from family-owned, 90-year old textile mill in Carolina. Tuft & Needle sheets feature about 215 thread count along with an extra-long staple length that ensures durability and softness. The company does not use any smoothing chemical finish containing formaldehyde. All the sheets are specifically sewn to fit the mattresses with perfect precision. All the products are designed to properly last with about 2-year warranty by staying strong and soft with every wash. If you are planning on giving their bed a try remember that there is plenty of online reviews of Tuft and Needle mattresses. Thread Count and Staple Length: It may seem that thread count is the only go-to feature when it is about sheets, but that is not the only defining feature. Staple length is a much better way to compare the feel among various sheets. Longer the staple length, more continuous fibers are present in the sheets to make you feel softer and cozier. However, longer staple lengths and higher thread counts do not correlate in general. Often, a lot of thread counts are not exactly transparent and so you should keep in mind the difference between the two before purchasing the sheets. Thread counts are determined by the total number of thread in the square inch. Another factor to consider is that an increased thread count can affect how well the sheets breathe and wick moisture, making them uncomfortable with a foam mattress. Many companies tend to double ply the threads so that it strengthens a shorter staple length, but Tuft & Needle sheets are not made in that way. For your foam mattress, buy a sheet with a thread count of about 200 along with a long staple length. This will ensure that you sleep in comfort and sheets are very soft and supple. Do not go for very high thread count. 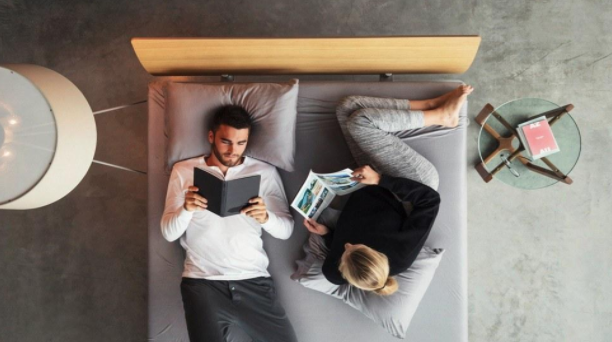 Cozy and cool material: The key to getting a comfortable night’s sleep in your foam mattress is the feel of your sheet. Various traditional foams tend to retain heat; hence it is best to opt for a lower to medium thread count sheet. Specific foam sheets will have lower thread count along with a breathable material makeup. Thick, flannel sheets will typically sleep warmer, but if you are staying in colder regions then these types of sheets might be your best bet. The top layer of Tuft & Needle sheets is infused with gel and graphite so as to help conduct the heat away from you when you sleep. Due to these head-reducing materials and ingredients, the closer your body is to the sheets the better they will work. A cotton, airy sheet will always allow the mattress to breathe easier and keep you cooler giving a cozier experience. Natural fabrics: Buy those types of sheets that are made up of natural fabrics to sleep well with your foam mattress. Even though manufacturers and producers may say that synthetic or any specific polyester blend allows for good airflow, the real facts do not support this argument. All synthetic fabrics typically include petroleum or plastic products in the mix during production, thereby making them less breathable. Synthetic fabrics, however, work best to shed moisture during the rainy season and to keep you warm, but with foam mattresses, it is difficult to get a good night’s sleep with synthetic fabrics as they will make you warm and hot in the bed. Natural fabrics for sheets including linen, cotton, silk, and hemp are your best bet if you are using a foam mattress. It is true that 100% cotton, silk, linen, or hemp sheets disperse heat, but they are very costly. Hence, you can opt for a poly-cotton blend with about 30% polyester as it will be inexpensive and will also help in releasing the excess heat. Sheet finish: Foam mattresses tend to contain a lot of man-made materials, due to which it is best to opt for a 100% pure-finish or organic-finish sheet. Pure finish or organic finish sheets are made without any addition of chemicals. 100% organic sheets are made from locally-grown cotton without any use of pesticides. These sheets are very costly and they provide the best feel with any foam mattress. You can opt for pure-finish sheets if the organic ones are too costly to buy. Sheet material weave: Percale sheets provide a crisper and cooler feel with foam mattresses and beds compared to sateen sheets. Sateen sheets provide a very smooth, soft and polished weave that retain the heat in comparison to the matte weave that is used in percale sheets. So you can buy the percale sheet that has a matte weave. Tuft and Needle is the best place to buy finest quality mattresses that will give you a good night’s sleep.